When game designer Kenichiro Takaki thought about what he wanted to see in 3D on the Nintendo 3DS, one thing (er, two things?) came to mind. The result was Senran Kagura. Now the curvy ninja game is making its way to the PS Vita as Senran Kagura: Shinovi Versus - Young Girls' Proof. This week's Famitsu has a big spread on the game as well as a pin-up style three page advert that isn't included in the above gallery and is far more suggestive than the previous game's artwork. Senran Kagura: Shinovi Versus renders the battle field in 3D graphics and features twenty battle ready female characters in "fully destructible" outfits from which to pick. The game uses local WiFi to support up to four players at once. For those who are interested, Senran Kagura: Shinovi Versus is also getting a ¥10,810 (US$139) limited edition box that is packed with things like special illustrations, a drama CD, a soundtrack and collectible figurines. 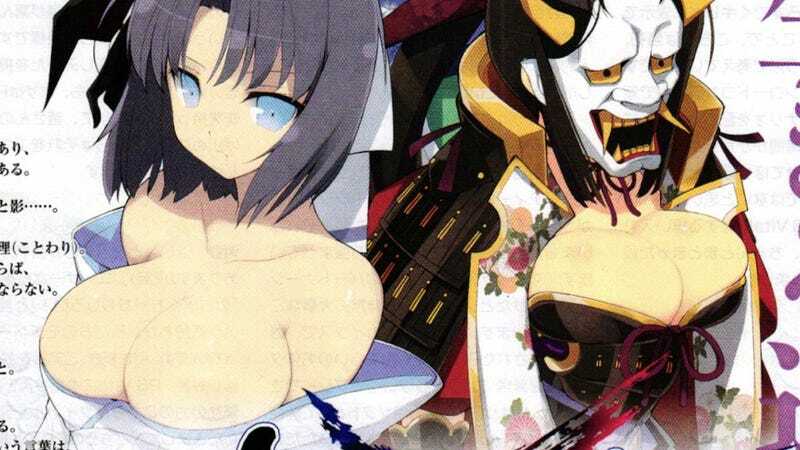 Senran Kagura: Shinovi Versus bounces onto the PS Vita next February in Japan.